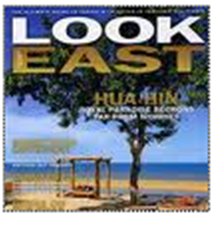 We here at Accidental Epicurean are looking at ways of expanding the reach of our site beyond Southeast Asia. As part of that mission we’re going to start doing a weekly series of “epicurean concepts”…these could be words that you’ll find on a fine dining menu, boutique ingredients, dining etiquette, etc. (if there’s something specific you’d like addressed or something you learned in a painful / embarrassing way and would like to spare others the embarrassment hit us up in the comments or via the contact page). We’ll start the series with one of my favorite dining terms – Amuse-Bouche. An Amuse-Bouche literally means “to amuse the mouth” but I’ve also heard it loosely translated as a perfect bite. An Amuse-Bouche isn’t like an appetizer in that it’s sent out by the chef and not selected by the diner. An amuse-bouche tells me a few things about a restaurant the moment it hits the table, regardless of taste. One, that the chef has “fine dining” aspirations as it seems an almost essential course for any Michelin starred restaurant. Two, that the chef is concerned with the tastes and journey the diner will go on during the course of the meal. By that I mean that the chef wants to give a special gift at the start of the meal to awaken the palate, showcase flavors, introduce ingredients, and / or all of the above. Lastly I can tell by looking at the amuse how inventive the chef is. I don’t think that every amuse has to be a wildly creative concoction, but it should be flavorful, respect the ingredients, etc. If a chef can’t handle a single bite, what are we in store for with a whole course? The amuse pictured up above is one of the tastiest things I’ve ever had the pleasure of eating. It was served to us at Omae Xex, the former Tokyo restaurant of Iron Chef Morimoto now turned over to his long-time sous chef Takeshi Omae. 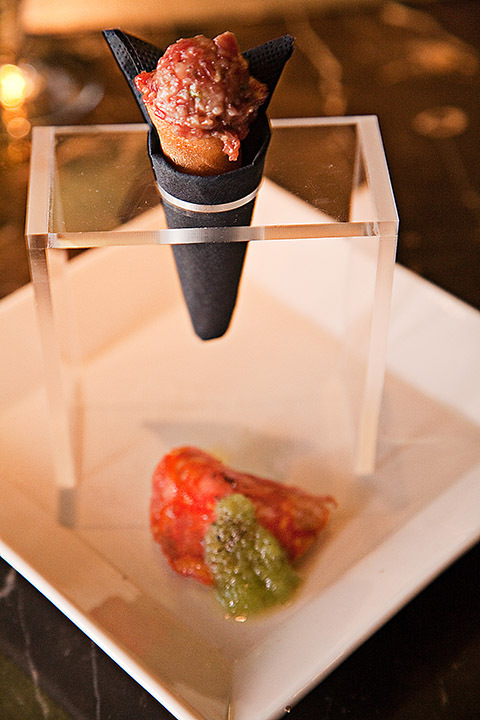 The amuse in question was a lovely beef tartar with eggplant and iberico ham served in a sort of waffle cone. Amazingly this bite edged out the insanely marbled Kobe steak that came out later in the meal. I would have happily dined on a meal of nothing but these wonderful cones of raw beef. We’d previously dined at another 1 Michelin star teppanyaki restaurant while in Tokyo and this amuse told us that though Omae Xex might have the same 1-star rating as the other restaurant, we were in for a whole other level of dining. What’s your favorite amuse-bouche or have you had one? Let us know in the comments. I want nothing raw or that I cannot pronounce , so, I will just have good ole cheese fries or cheese sticks. We are supposed to be eating less meat & more fresh vegatables & fruits. And you have turned int a snob!!! Amuse-bouche, Amuse-gueule. Fancy Shmancy. Very French!